I am very busy and excited to be once again working on the Haverford Music Festival! This year we are celebrating the 5th annual festival! And for this special event I designed a new logo. This event has grown so much, and with it my responsibilities. I am now the marketing coordinator as well as the graphic designer. 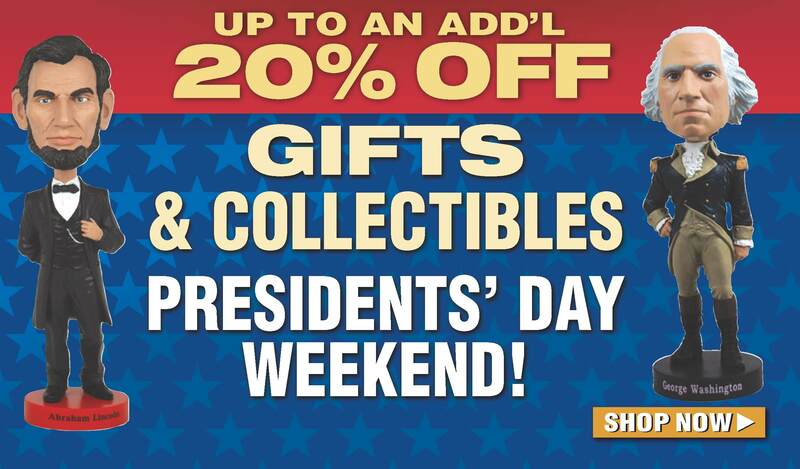 I have gotten to design more signage, including banners and lawn signs; full color newspaper and magazine ads, as well as T-shirts, VIP badges, web banners, and web ads on our media partner’s site, iRadioPhilly. You can check out some of the music (and design) on our website. I’ve been very busy with work, freelance and volunteer designs. I’m going to add this work-related new venture Comicon Gear that I designed the logo, collaborated on the web design and designed the web sliders, and social media images. Hope you check out Comicon Gear! This looks yummy, I was looking for a way to use my quinoa flakes. Can’t wait to try this! Are you tired of the same old breakfast? Maybe you are sick of oatmeal or scrambled eggs or just looking to branch out a little. Either way, I may have a quick and easy solution for you! This simple high-protein and high-fiber breakfast bake can be whipped up and served within five minutes using the microwave or you can bake in the oven for a different method! I am going to start sharing some of the designs I do at my day job that I am proud of. The latest is one for our website. It only appeared this weekend so I can’t put a link to it. I am adding this award to a somewhat new theme of Philadelphia becoming an international destination. Unfortunately I won’t get to taste 32 flavors in the near future, certainly not of ice cream. I’ve started on the usual New Year’s resolution of dieting. After a few years of having thyroid problems, my meds are finally straightened out, but my weight is now up. I decided to try Dr. Oz’ Total 10 diet— which really is just a tweaking of the South Beach diet (on SB, I lost a lot of weight 9 years ago, so I know it works). …So I don’t get 32 flavors of ice cream…but I do get a smoothie every morning. I mostly do berries and banana, but sometimes add greens. The Dr. Oz diet allows a small amount of the grain Quinoa because it is a complete protein. Quinoa tastes bland, but has the consistency of figs—without the sweet taste, kind of like chewing a mouth full of tiny seeds. So no 32 flavors for me 😦 I don’t really crave ice cream, but more salty snacks like potato chips. To satisfy that craving, I’m allowed nuts, but since I tend to eat too much of them, I took a trip to Trader Joe’s for some low carb snacks. The photo to the right is the result of my trip. Left to right: Brown Rice/Quinoa Spaghetti tastes just like regular wheat pasta. If you are gluten free, I highly recommend it. 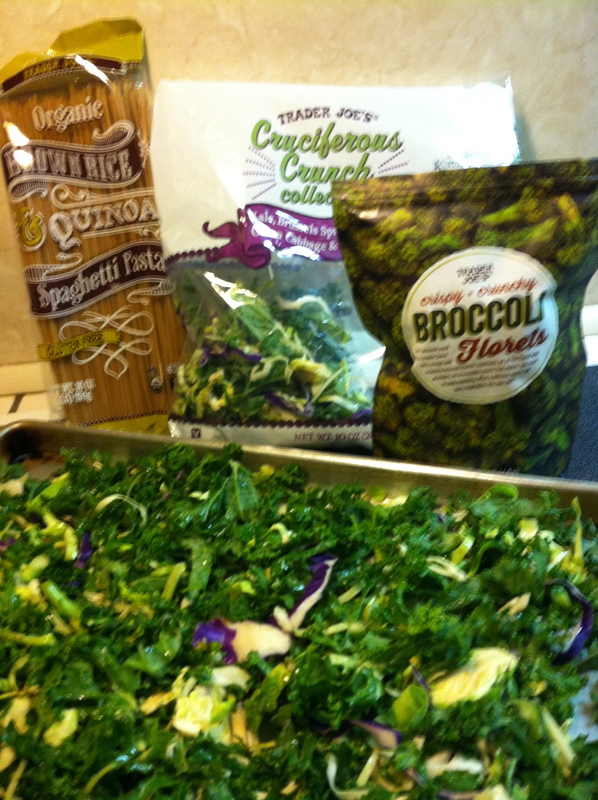 Cruciferous Crunch Medley has shredded cabbage, Brussel sprouts, broccoli, and kale. I roasted it with olive oil, salt and pepper (in the pan at the bottom of the photo) but I think it would be better as a slaw or stir fried. And last, Crispy Broccoli Florets: The package does not tell you how it got crisped, but seems to be freeze dried (?). It actually is not bad as a salty snack substitute. The whole bag is listed as one serving (220 calories) but I can only eat about one third at a time. As they say, “don’t do something today, you will regret tomorrow.” So right now I’m going to skip the ice cream (and the potato chips) and stick to my broccoli. Are you a visual blogger? I realized while writing (or lack there-of) my posts related to #Blogging101 that I am a visual person. Gee that’s obvious isn’t it! I am amazed by how well, (and how long) people can write, spilling their thaughts into their blogs! (Like Brooke E. Wayne and MY OWN PRIVATE IDAHO) On the other hand, I can only write one or two paragraphs. I have been trained by being in business to be concise and frugal with words. And also since I have so little time to spend on my website/blog, I find I need to be that way on my posts. I am drawn to blogs that are visual in nature—like photography bloggers, especially travel photography bloggers like desleyjane who inspired this post. I just want to jump into some of her pics like Queenstown NZ and Lifou, South Pacific! Another inspirational photography blogger is Chaméléon. She recommended her new camera (with plenty of background to support her choice) here. 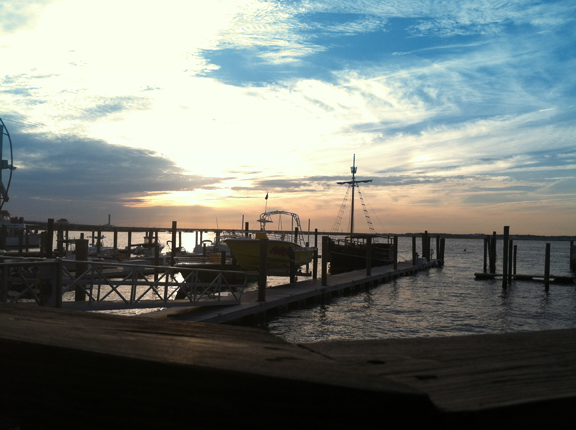 I’m hoping to one day soon get a DSLR and start posting my own pics. Do you have a favorite camera that helps you create inspiring photography? What inspires you when you are browsing blogs? Is it the writing or the photos? Any recommendations for new blogs to follow would be appreciated! 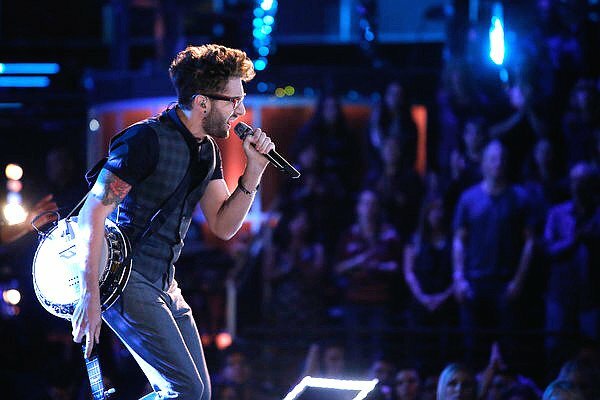 I want to share my love of Season 5 The Voice Top Three finalist Will Champlin. He is an amazing musician, singer, songwriter and all around awesome person. If you don’t know his story, he is the Voice Season 5 third-place winner, known for stretching the limits of re-arranging and re-imagining the songs he chose to cover. I’d really like to design an album cover, or at least an iTunes single cover. 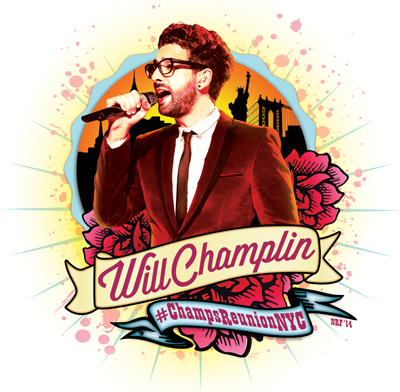 Here’s one of my designs I did in honor of his coming to play in NYC last year. The concert was amazing. I went to see him with my son. He has a lot of followers know as #Champs. We all came together in person after meeting through following Will on twitter. We dubbed the event #ChampsReunionNYC. Everyone was so nice, enthusiastic and generally just good people. 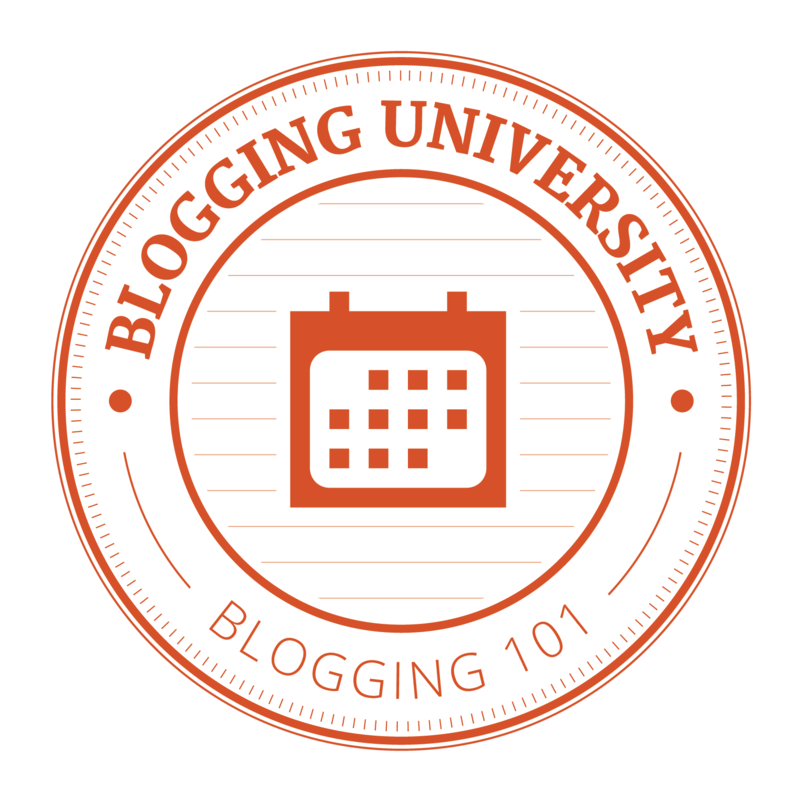 It kind of reminded me how the #blogging101 community is here. Everyone is so supportive to each other. After The Voice, He is now going the indie route. I’m including a link to his new single “Eye of the Pyramid.” I love everything that Will does but I especially love his new album. Not only is the music incredible but the message in his lyrics are very uplifting. “Eye of the Pyramid” features the uncommon combination of sitar & banjo, both played by Will, plus Will‘s amazing voice! The song’s message is the struggle to own yourself–& not get self-worth from owning things & making money. I am still playing with what I should call this blog. Since I am mostly looking to advance my client base, I’m wondering if it should just be my name. I’ve used this title: Art & Soul, off and on for a while. trablog on Are you a visual blogger? perelincolors on Are you a visual blogger? Every day something new, always time to learn and do. It's all about the text.